…provides and encourages the gathering of inner and outer resources. Allowing each person to build connection to self, others and the greater mystery of life, one can meet life’s challenges and learn to thrive. You will benefit from this transpersonal, creative and somatic approach to healing. Art to Heart follows a developmental approach to healing and believes in a person-centered therapeutic style. This means that together we work to achieve your goals. I also help you understand the missing developmental pieces that will help you retrieve necessary archetypal energies you need to feel a sense of sovereignty over your own experience. Expressive Arts Therapies (art, movement, writing and sounding) – a unique blend of safe and non-threatening modalities designed to connect you to your own source of creativity and power. 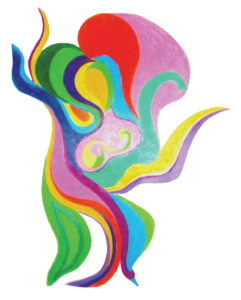 As a Board Certified and Registered Art Therapist I am experienced in supporting your imaginal process as a means to empower you to transform issues, pain and life’s challenges. Trauma Resolution work called Somatic Experiencing® or SE™ – specific body awareness techniques to release old stressful and traumatic experiences that stop you from moving forward and reclaiming your health and vitality. As a Certified Somatic Experiencing® or SE™ Practitioner, I work with the body’s nervous system in a unique way, helping you retrieve sensations, images, feelings, thoughts and movements that have been trapped in previous traumatic experiences. The Internal Family Systems Model of Therapy – A compassionate approach to working with your internal cast of characters, defensive structures and addictive behaviors. Its goal is to build relationships with one’s protectors, exiles and Self in order to promote harmony and acceptance. As an IFS therapist and transpersonal counselor I believe that we are all on a journey towards wholeness and the bumps in the road are opportunities for greater depth and potential. When we work with the totality of experience – our bodies, minds, hearts and souls – we reclaim our true authenticity. In this 2-day creative arts therapy course designed for both men and women, we will explore the impact of the Feminine on our lives personally, socially and spiritually. In a safe and playful environment, using art process, movement, guided imagery and writing, we travel deep into the images and stories of our feminine ancestry. During the weekend we look at patterns of behavior and core beliefs inherited from the Motherline, address body image, issues of power and our relationship to the Sacred Feminine. This 2-day introductory course will focus on the physiology of trauma and its resolution using body wisdom and the Expressive Arts Therapies. Special emphasis will be placed on the physical and behavioral aftereffects of trauma and how the nervous system stores and releases traumatic memory. This course will provide useful skills in assessing and working with self, and others who exhibit traumatic aftereffects. It is useful for therapists, nurses, teachers, parents and others interested in exploring the connection between body, creativity and healing. Three weekend workshops designed to re-invigorate your work and life. These weekends are (1) Somatics and Trauma, the neurophysiological foundations of healing; (2) Healing the Healer, nourishing your inner life with the Expressive Arts Therapies; and (3) Introducing Internal Family Systems Model, delve into your rich inner landscape and that of your clients. 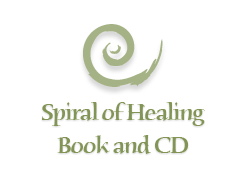 This 2-day workshop is an introduction to the yearlong training called The Spiral of Healing. During the weekend we will engage in a creative journey towards wholeness in which we gather healing and strengthening tools and begin to forge a tangible working relationship with the body. Classes in Trauma, Art Therapy, Supervision, and Somatics at Prescott College in the graduate expressive arts therapy, somatic and counseling psychology programs. I am available for short-term groups, in-services and workshops as requested. 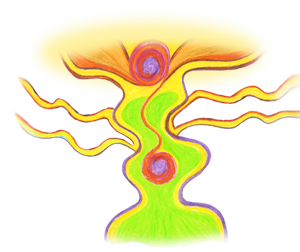 A 12-day training of embodiment practices and somatic art therapy (see Professional Training). Includes Skype contact (see Professional Training). 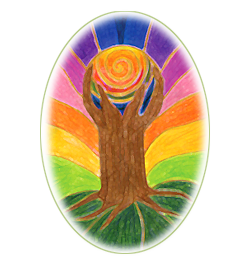 A 12-day trauma training, combining Somatic Art Therapy and Somatic Experience techniques called “Moving into Joy” (see Professional Training). (see Events, Workshops and Classes).